Lamy recently released what is basically a limited run of their Al-Star, called the Lamy Lx (for Luxe). It's available in four finishes; Gold, Rose Gold, Palladium and Ruthenium. Other than the color of the Aluminum the two ways it distinguishes itself from the regular Al-Star is the PVD-coated laser-etched nib and the matching precious metal-plated clip. It also comes in a matching cylindrical Aluminum case. For the privilege of owning the case, a PVD-coated nib and the plated clip you get to pay almost twice as much as for the regular Al-Star. Still, if I didn't already own an Al-Star I'd be all over the Ruthenium version. Would you get one? Which one would you get? I have to note that they are carried by only a few online vendors and that there is absolutely no mention of them on lamyusa.com nor lamy.com. Can Lamy perhaps come up with an original pen design instead of making everything look like a Safari? At $100 AU its not happening, Lamy prices here are inflated - the new Safari Black is on sale here at $69. I import mine from Singapore at a more reasonable price. Lamy seems to like price gouging in this country and they don't like people using ebay either. Lamy, transfer of wealth be thy name! Every company hires individuals (sometimes armies of them) who's sole function is to devise ways of taking money out of your pocket and putting it into theirs. Occasionally the transfer is agreeable if not amicable: both parties get what they want (value for value). Problem is, some of these companies become hungry beasts with insatiable appetites. One wonders if there isn't a person sitting at a drawing board sketching out Lamy designs for cufflinks, watches and leather portfolios--their rationale being: why should I drive a Porsche, when all the guys at MontBlac are driving Lamborghinis? Can't say I blame them, but I'll be damned if I'll pay fifty-six bucks for an Al-Star! I love Lamys. I’ve got the Safari, Vista and the 2000. Get into it. I have the rose gold one, very underwhelmed to say the least. The EF nibs are nothing like what they used to be, comparable to their old mediums. The color of the pen is very orange. Please add these to Massdrop. I would love to have all 4. Love them-very serviceable-dependable, great case. I'm a pen collector. Although these are pretty low-end for many collectors; they have a certain appeal due to the metal instead of Lamy's regular plastic. Nice EDC. Inked my gold one and it performs likes other Lamy's, i.e. dependable. I love the new colors and the tube they come in, so now when can I order? I bought the Ruthenium version and have no regrets. The color in person is amazing, and was easily the pick of the bunch for me. I am also a sucker for nice packaging, and the color-matched aluminum tube is a great touch. For those that don't like the waste of a traditional pen box, this tube would make a great container for small items for EDC or whatever, and/or a really cool pen case. overpriced safari/allstar, i really dont understand the appeal of paying more for less unless the color really appealed to you. Writing wise, the nib is meh, there are many better STEEL nibs out there for a lesser price. The rose gold is STUNNING! Is it worth twice as much as Lamy's other AL stars? Definitely not; pretty case notwithstanding. I got my Ruthenium from a seller on Amazon for just under $50 :) You can get a regular Al Star for a bit over $25 on Amazon. I love it. Though you have to be an Al-Star aficionado to appreciate it; other than the presentation case it's really not remarkably different from the regular Al-Star. Hence the popularity of the Rose-Gold. I have the rose gold version. And though it's a gorgeous pen, its also the driest writer I own. I have the medium version by the way. I've noticed that the black Lamy nibs tend to write dry, but this one wrote so dry out of the box that I thought it was defective. I put my wettest ink in it and it's still not great, but at least it functions. I will probably end up switching the nib out for one of the silver ones, which in my experience tend to perform better. But it's going to change the whole look, so that's disappointing. I've had a similar experience with all lacquered nibs that I own. It seems the lacquer has an adverse effect on the wicking ability of the nib. The PVD coating on the Lx was supposed to solve that problem. Guess not. How does it write? I'm curious to know if you experienced any hesitation. Is it stingy with the ink flow? does it clog? "Recently Lamy notified the dealer community that a factory fire in the plant where the tubes for the Lamy Lx were made has disrupted production for Lamy worldwide. We have quite a few customers who are still waiting for pens that were pre-ordered last month. As of today, we've been able to find enough pens in Europe and the US to fill most orders in house. The only pens that are completely out everywhere are Broad Nib pens and almost every nib size of the Rose Gold." They were carried by European vendors this last summer. I thought since I hadn't seen them statewide at that time that maybe they were for EU distribution only. Are we aftermath? A few can still be found, here and there. Not the popular finishes though. ipenstore.com still has the gold in medium for example. I was at The Ohio Pen Show yesterday (11/12/16) in Columbus, Ohio. I bought a gold one with its tubular case for just under $60. from Anderson Pens andersonpens.com. They did still have some of each when I talked to them, but they are going fast. 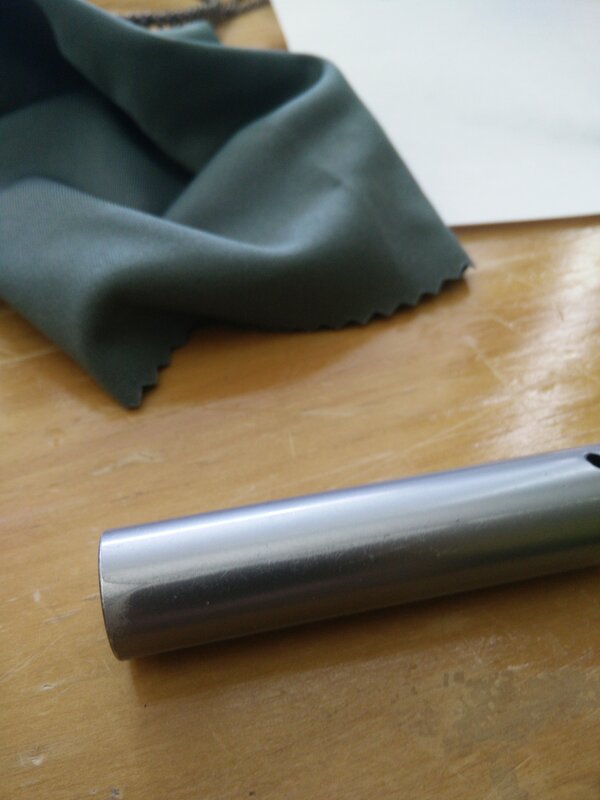 Also, there was a fire in the factory which supplies some part of the matching tube packaging, so there will be none of them soon, Best of luck to you (my fine LAMY LX nib writes smooth as silk (a different beautiful black nib too). Rose. And it'd be cool if the broad nib was offered as a choice. Yeah, the anodized layer has worn off. Speaking of which, that's what it should say in the description of the pen: anodized not galvanized. Galvanization is used on steel, not aluminum. Anodizing increases the thickness of the naturally-occurring aluminum oxide layer. Aluminum oxide is not particularly tough. In galvanization it's a strong layer of zinc oxide. This makes me suspicious of the whole double-galvanization claim. Love the grip. It's a gold one for me. I bought one (well, more than one, for Christmas gifts). I also have a 2 Safaris, the Lamy Logo, and an Al-Star. All of them are F, and the Safari, Logo, and Al-Star have proven reliable and very nice to write with. The thing I've noticed is that the LX writes WAY drier than the other pens with the F nib. Has anyone else noticed that? I'm even thinking of letting go of the look of the black LX nib on the pen, and subbing in a regular Lamy F nib. Interesting. I don't know about the Lamy Lx specifically, but I have noticed that ALL coated nibs that I own required some tuning initially. My theory is that the coating renders the slit a bit too narrow which necessitates some adjustment for the ink to flow properly. Most of the time applying a little pressure to the underbelly of the nib does the trick. Yes. And agree with jwieringa. All of my black coated nibs write drier than the silver nibs. But this one is the driest on out of all that I own.